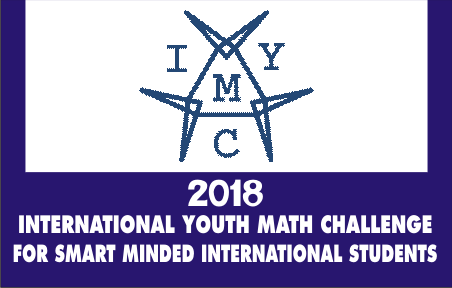 Do you have what it takes to take on other brilliant and sharp minded international students in 2018 version of Youth Math Challenge? If in the affirmative, then brace yourself up and take on this challenge to unleash your math skills and brilliance to the world and get recognized globally with lovely international certification and added cash prizes. The International Youth Math Challenge is one of the biggest online math competition for students from all around the world. You can win awards and cash prizes worth over 500 USD, qualify for the final round, become official IYMC ambassador in your country, or join the international IYMC network for outstanding students - take this unique opportunity and participate today! The qualification round is the first stage and consists of five math problems: A, B, C, D, and E. The problems range from geometry to number theory to make sure that everyone finds interesting problems to work out. In order to qualify for the pre-final round, you need to solve at least three (under 18) or four (over 18) of the problems correctly. The submission deadline is 30.09.2018 23:59 UTC+0 (i.e. September 30, 2018). All participants receive certificates after. The solution file may be typed digitally (recommended) or it may be a clear picture of your handwritten notes. In case you have multiple pictures you may use an online tool to combine the pictures to a single file. After answering the questions, capture your solutions and convert them to pdf format. Then VISIT HERE to submit your answers. Pre-Final Round Participants that have solved the qualification round successfully are qualified to participate in the pre-final round. The problems will be more challenging, but even more interesting! The pre-final round consists of 15 different problems that vary in difficulty, points, and topic. All topics from geometry to number theory are included. • 6x Basic Problems: The pre-final round includes six basic problems (lowest difficulty). A correct solution to a basic problem adds two points to the total score. • 6x Advanced Problems: The pre-final round includes six advanced problems that are more difficult. A correct solution to an advanced problem gives four points. • 3x Special-Creativity Problems: The pre-final round includes three advanced problems: These problems do not have a final answer, but the approaches and interim result give between zero to eight points. This problem type represents real examples of mathematical research and requires special originality and creativity. It is possible to reach up to 60 points in total. All participants that are qualified and that are registered for the pre-final round will receive the problems via email on Monday 29.10.2018. From that day on you have one week until Sunday 04.11.2018 to solve as many problems as possible! You can submit your solution online via a special submission form: You can choose if you would like to submit the solution as handwritten version or as computer typed document. Registration and Costs If you succeed in the qualification round, you have the unique opportunity to participate in the pre-final round. In order to register, we will send you a Registration Form. The registration deadline for the pre-final round is 28.10.2018. Successful finalists can participate in the final round: You will take an exam of 60 minutes supervised by your school teacher or another person of trust. The winners receive certificates and cash prizes worth over 500 USD. Exam and Points The final round consists of a single exam with 30 multiple-choice questions. The questions require math skills as well as knowledge about mathematical definitions. Finalists have 60 minutes for the exam! To every question there are four possible answers given (only one is correct). A correct answer equals one point. The awards and prizes are given to the finalists with the most points in the final round. In order to participate in IYMC you have to be a high-school or university student. Depending on your age (over 18 years or under 18 years), you will have to solve more problems to qualify for the next round. Students from all grades and all countries are invited to participate! All participants receive participation certificates. There are also special awards and awards for the best submissions from each region. In order to be eligible to participate in IYMC you have to be at least 10 years old and you have to be a student (high school or university). There are no other restrictions and students from all grades and all countries are invited to participate! • Under 18: Age from 10 to 17 years. • Over 18: Age from 18 years. Students from both categories will receive the same problems in all rounds, however, students that are 18 years or older will have to reach more points. (NOTE: to qualify for the pre-final round, students that are under 18 years have to solve three problems correctly and students that are over 18 years have to solve four problems correctly). If you feel you can harness this opportunity or your wards, children, friends can benefit from this opportunity, please share it to them.